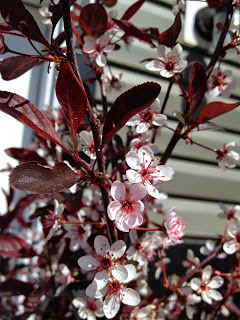 My front tree is covered in blossoms right now. 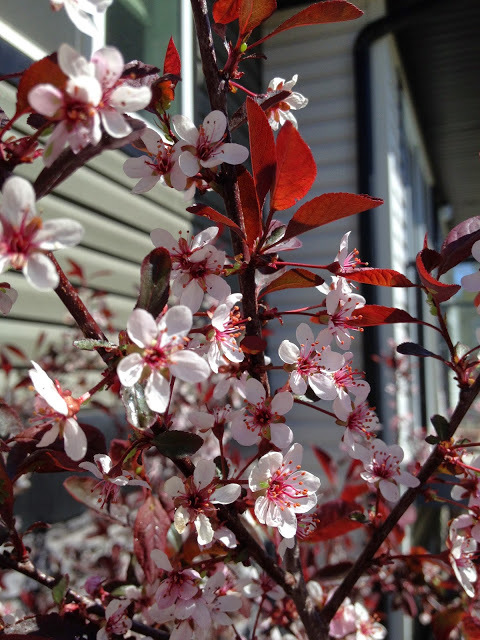 Every time I leave the house and every time I come home, I am innundated with their beautiful fragrance. Perfection in each delicate petal. I can’t help it; they fill me with joy on sight! 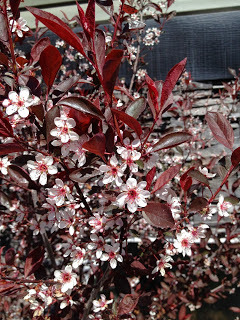 I’m thankful for them, for spring, for the husband who helped me plant this dwarf cherry five years ago, for everything about the experience of having them in my life. 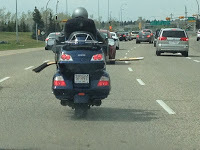 Only in Canada will you find yourself driving down the highway behind a guy with a hockey stick on his bike. Seriously. It’s so Canadian I can’t help but laugh, and be grateful that I live here to see such sights. He’s the best. Road trips are the best. 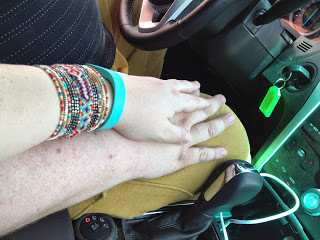 Springtime in the car, next to him, music blasting, wind in my hair, it’s all the best.